I made individual gratin dishes, but this recipe can be made in one casserole, serve the gratin with a nice salad and a bottle of crisp white wine, Enjoy and keep in mind that the casseroles can be made ahead if time and popped in the oven just before serving. Fast Food My Way by Jacques Pepin was the inspiration and this week I’ll probably find other “fast food” recipes too enjoy so stay tuned for a few more good fast food recipes that you don’t need a kitchen staff for like Rachel does. In a large glass bowl, mix the butter with the garlic, scallions, mushrooms, salt, pepper and 1 tablespoon of the oil. Add the shrimp and toss to mix well. Divide the mixture among 4 gratin dishes (or spoon it into 1 large gratin dish). Toss the bread crumbs with the cheese and the remaining 1 tablespoon of oil, so they are lightly coated but still fluffy. 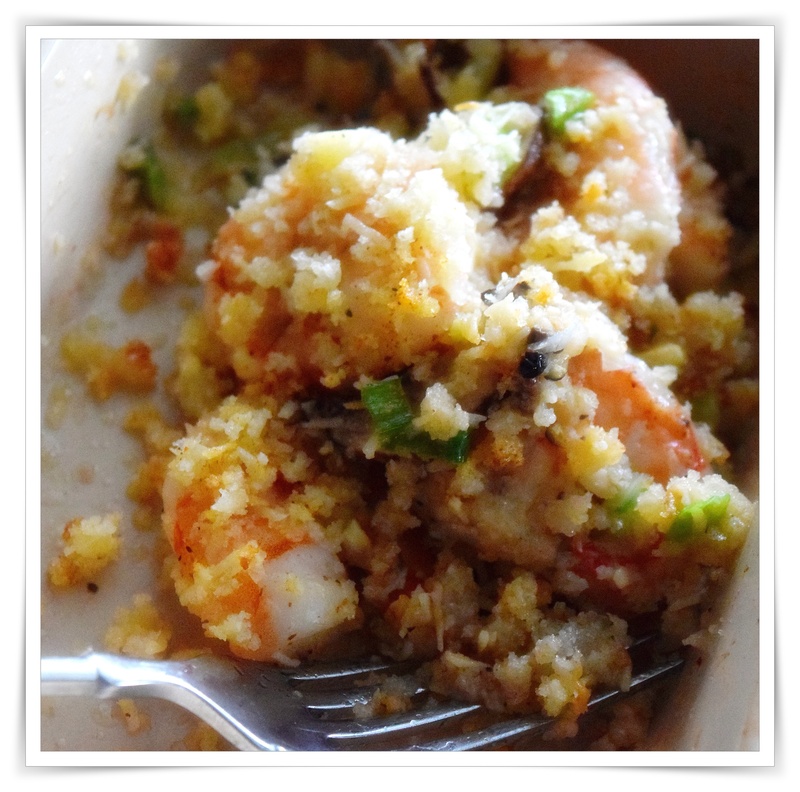 Sprinkle the shrimp mixture with the crumbs and pour on the wine. Preheat the oven to 425°. When the oven is hot, place the gratin dishes or dish on a cookie sheet and bake for 10 minutes, or until the crumbs are nicely browned and the shrimp are just cooked through. Serve immediately. 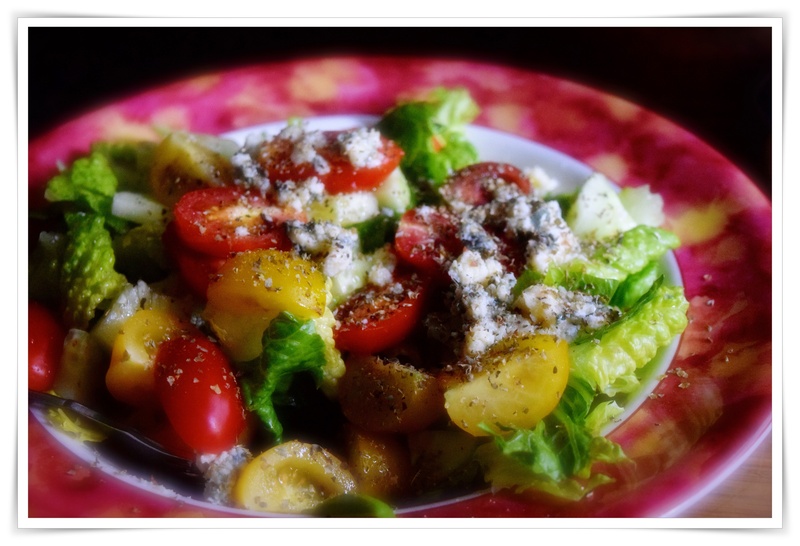 A simple pretty lettuce, tomato, cucumber and Roquefort cheese simply dressed with a light white balsamic vinaigrette and a sprinkle if fresh or dried marjoram.